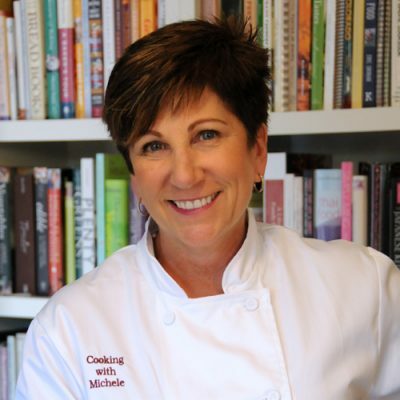 When I first graduated from college and went out to dinner with other young working professionals, we liked to go to a place called the King George Inn, and my favorite dish was their chicken Florentine. It was a thinly pounded breaded chicken breast that was dripping in the butter it was cooked in served over buttery sauteed spinach accompanied by rice. Well fast forward a few years, and I give you my 2009 version of this dish. 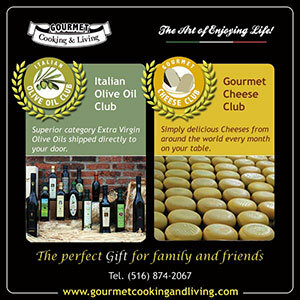 Here’s what’s changed: I use natural chicken from a local CO rancher, I substituted farro for white rice, I cooked it in extra virgin olive oil instead of butter, I breaded the chicken in whole wheat panko bread crumbs instead of white, and I used fresh spinach instead of frozen. Despite these healthier alternatives, the taste is still delicious. …pull off the tender from the back then use a meat mallet to pound it out to a uniform thickness of about 1/2 inch. 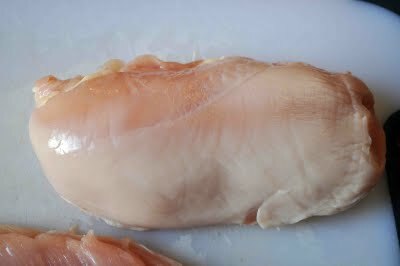 I like to cut each breast into two pieces as it’s really large enough for two portions. 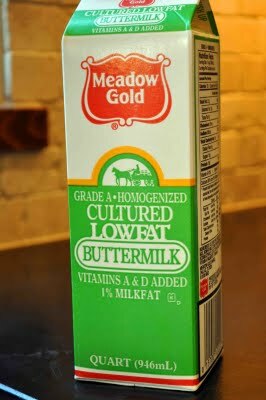 Buttermilk is great for marinating chicken because it tenderizes it. 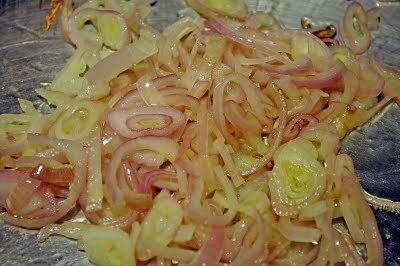 …before adding the chicken pieces to it. 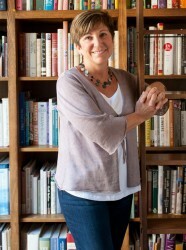 Isn’t that a hideous picture?! 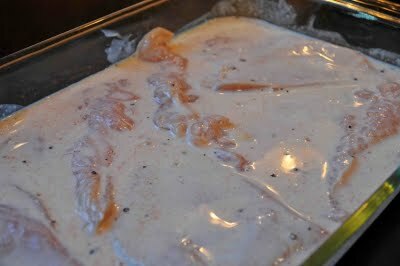 Just let the chicken marinate in the buttermilk for a couple of hours in the refrigerator. 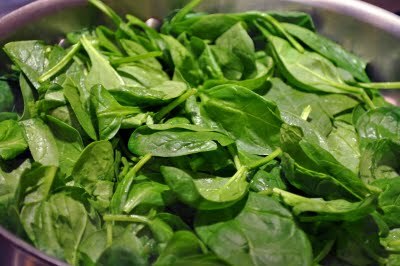 …then add a package of baby spinach and cook it just until it starts to wilt. Remove it from the heat and keep it covered while you cook the chicken. 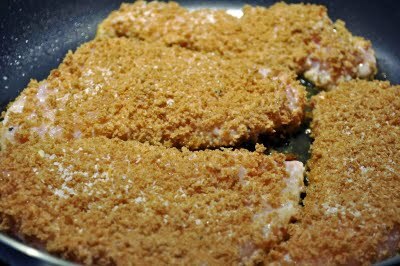 Shake off the excess buttermilk and coat the chicken pieces in panko breadcrumbs (or regular breadcrumbs if that’s what you have) and cook them in some extra virgin olive oil in a nonstick skillet (so the breading doesn’t stick and fall off) over medium heat until they are golden brown on both sides. 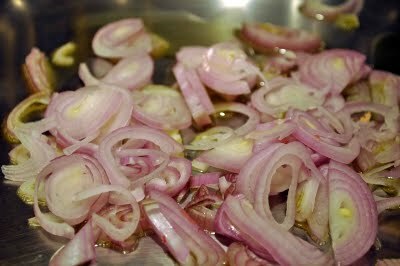 Carefully remove them from the pan and place them on a baking sheet to finish cooking in a 350 degree oven for about 10-15 more minutes. 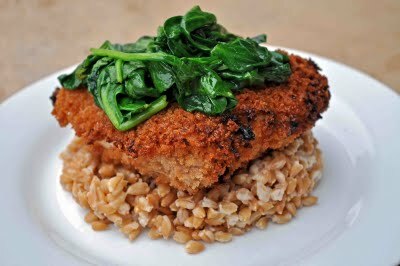 To serve, spoon some farro or rice onto a place, then top with a chicken breast and some of the sauteed spinach. Enjoy! 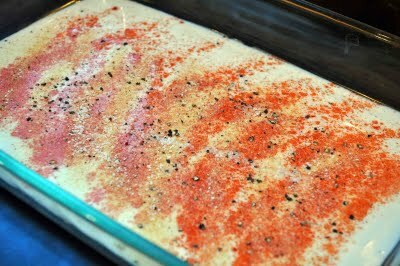 Combine buttermilk with spices in a large baking dish. 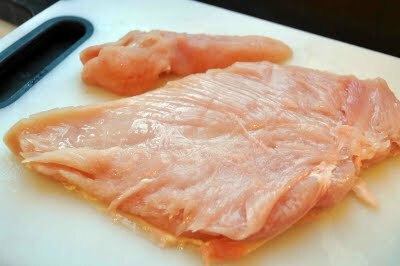 Pound chicken breasts flat and add to baking dish; let stand in refrigerator for 2-4 hours. Shake excess buttermilk from chicken and then coat with breadcrumbs. Heat about 2 tablespoons olive oil in a large nonstick skillet and add half of the chicken. Cook until golden brown on each side, then repeat with remaining chicken. Place all chicken on a baking sheet and finish cooking in a 350 degree oven for 10-15 minutes or until no longer pink in the middle. 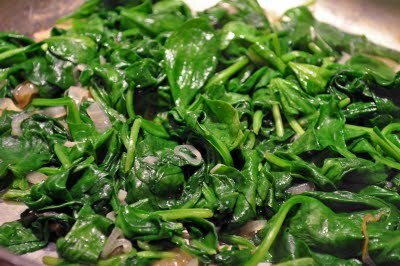 While chicken is in the oven, saute the shallot until slightly softened, then add spinach and cook together with the shallot until it wilts, about 2 minutes. 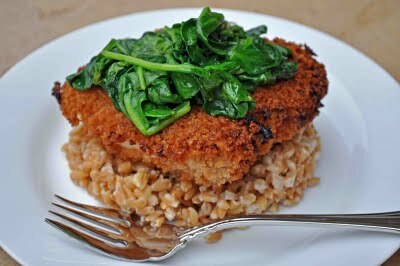 To serve, place a piece of cooked chicken on top of rice or farro, then top with some of the sauteed spinach.